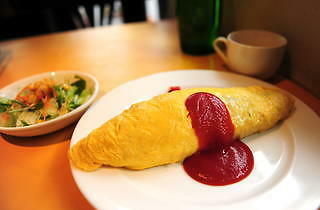 A local favourite for over 30 years, Pumpkin's omelettes are what keeps bringing customers in. 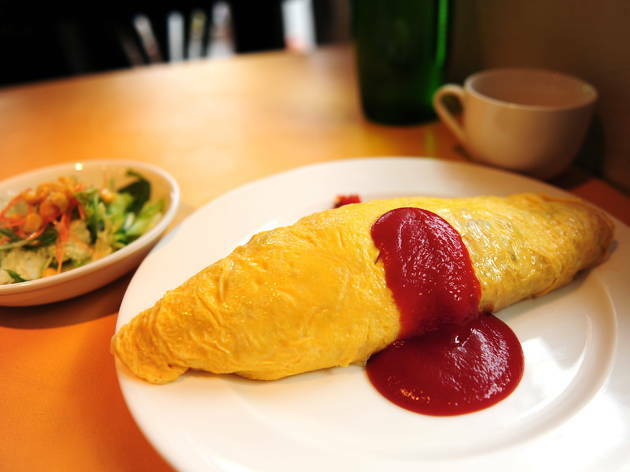 The ketchup-flavoured omu-rice is also worth a shot – containing everything from mushrooms to chicken, this sizeable delicacy is sure to satisfy. The reasonably priced lunch set (around ¥1,000) comes with a salad and corn soup.